The ABS sensor is often blamed for problems in the anti-lock braking system. But in order to understand how an ABS sensor works, it is important to understand the main components of an anti-lock braking system. For this guide, we sought the help of AutoCarTimes. 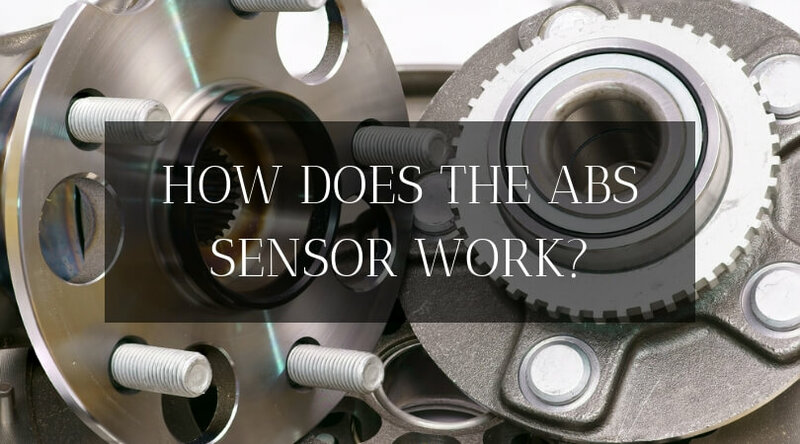 They know a thing or two about ABS sensors along with diagnosing other problems such as the five symptoms of a bad oil pump or bad EGR valve. How Does The ABS Sensor Work? 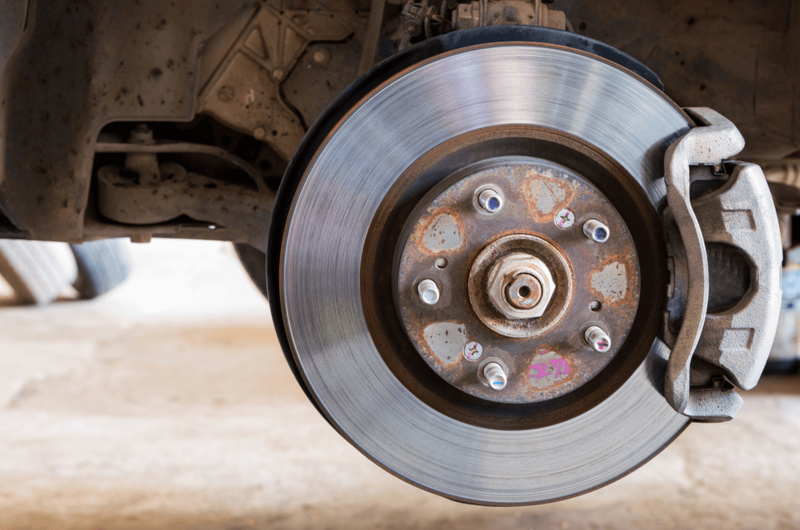 What is ABS or Anti-lock Brakes? The anti-lock braking system is designed to prevent the wheels from locking up. The system acts instantly every time you step on the brake pedal. This helps prevent skidding or loss of control, particularly during abrupt cadence braking as you avoid an obstacle on the road. The ABS also decreases the braking distance so you can stop on a dime. This is achieved by preventing the wheels from slipping and sliding on the road. This is due to the fact that a skidding wheel has less traction. By preventing skids or slips, the ABS system allows the tires to always maintain a flat contact patch with the road. And since a non-skidding wheel has more grip, this is the best scenario to whether driving slow or cruising on the highway. Back in the days before the advent of ABS braking, cars had a tendency to skid with the application of full brake pressure. This also has a tendency to literally lock the steering as the tires are losing traction. But with ABS brakes, you can apply the brakes and steer at the same time, without fear of losing control of the vehicle. The anti-lock brakes are not restricted to the ABS sensors alone. In fact, the ABS is made up of four major components. 1. Speed sensor/ABS sensor: The ABS sensor is responsible for monitoring the speed of each wheel in the vehicle. The data is sent to the ECU and the information is utilized to command the hydraulic control modulator. 2. ABS valves: The valves are necessary for regulating the air pressure to the brakes when the ABS is in action. Each valve is located in each brake line controlled by the ABS. The valves can open in three configurations. It can open fully to allow pressure from the master cylinder to be transferred directly to the brake calipers. The valve can close to constrict pressure inside the system. Finally, this valve can also open in small increments to release some of the braking pressure. 3. 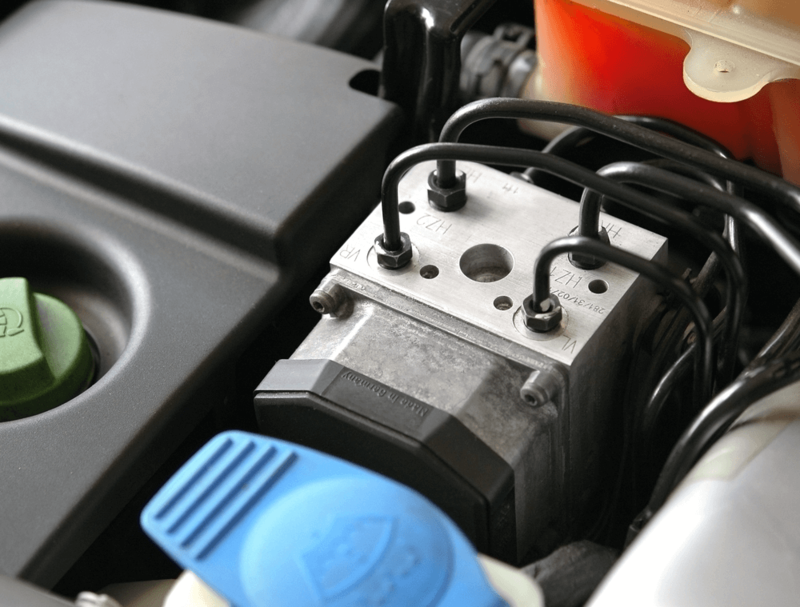 HCU or Hydraulic Control Unit: The HCU is typically located in the engine bay. It receives electronic signals from the ECU to either release or applies pressure in the brakes when the ABS is triggered. You can think of the HCU as the commanding officer on the field. It only acts upon the discretion of the brains behind the entire operation. 4. ECU or Electronic Control Unit: Talking about the brains, the ECU is responsible for calculating and interpreting the signals from the ABS sensors. If the ECU detects a slip, it commands the HCU to increase hydraulic pressure or to bypass the pedal force altogether depending on existing driving conditions. Let’s assume you’re driving at a moderate pace and you suddenly apply the brakes. During this time, the ABS sensors are monitoring each wheel to detect slipping, skidding, or wheel lock. If one or some of the wheels are locking (or if the ABS detects a possible skid), the ECU will send a signal to the HCU. The HCU will release the brake pressure to the locking wheels to improve grip. When the lock is corrected, the ECU commands the HCU to reapply the brake pressure and to keep the wheel slip to an acceptable degree. All of this happens as the vehicle comes to complete stop. 1. Magnetic inductive or passive sensor. Early ABS systems utilize a set of passive ABS sensors. Wheel speed information is gathered by the help of a toothed ring or tone wheel in the wheel hub assembly. As the wheel spins, the sensor reads the gaps in the toothed wheel by producing an alternating current or AC voltage via coils and magnetic lines inside the sensor. 2. Magneto-resistive or active sensor. If your vehicle is manufactured in 1999 onwards, it is most likely equipped with an active ABS sensor. The primary difference is an active sensor is equipped with a power supply. It also creates a digital signal whereas the passive sensor creates an AC signal. This sensor also uses a toothed ring to read the wheel speed. But in some cases, a modern active ABS system uses a magnetic encoder or ABS ring in place of a toothed ring. The biggest problem with a passive ABS system is false cycling. Passive ABS sensors are also larger and less accurate at slower speeds. On the other hand, active sensors are more accurate and can work at speeds as low as 0.06 mph. It is important to understand there are two types of active ABS sensors: hall sensor and magneto-resistive sensor. The hall sensor is very accurate but it needs to be installed with utmost precision to work properly. But when it comes to precision, the magneto-resistive sensor is the preferred choice, but it comes at a cost. It is generally more expensive than a comparable hall sensor. Knowing which type of ABS system or ABS sensor in your vehicle is vital if you’re looking to test the system for faults. Each system requires a different testing method. You can check by using a scan tool to read the module information or by referring to the service manual of the vehicle.